ME: Fully-grown and self-sufficient daughter with adolescent angst, college expenses, and house down payments far behind me. I've written several books, appear regularly in the national media, and cook an excellent turkey. Even better, I can offer you a nice, successful son-in-law plus three fabulous grandchildren, including one who lives in Paris and another who goes to Yale! Whoa! Major bragging rights! YOU: Warm, engaged, and -- let's face it -- well-off older couple looking for the family you never had. That weekend house in Fire Island or Vermont just feels too big and empty without children and grandchildren to fill it. You're despondent not having anyone to lavish with generous gifts at the holidays. And you'd love to have a smart, creative, loving daughter to take out to lunch and shopping. There, I did it: Wrote the classified ad I've been fantasizing about ever since I became an orphan 15 years ago. With both my parents and my only sibling all dead, I find myself fantasizing about putting myself up for late life adoption. Not that I need anyone to take care of me: I've been doing that on my own for decades now. And I have a lovely family of my own. Still, it would be wonderful to be the child again, once a week or so. That's what I think when I hear friends describe holidays at their parents' or sibling's. where they bring a bottle of wine and a dish of green beans and otherwise put up their feet. I'm always the provider in my family's celebrations, producing the big meal and hosting dozens who depend on me to make the magic. I'd love to have parents to do what my father did so ably before he died: listen to my problems and offer advice, or full-heartedly applaud my triumphs. Feel proud of my children, and sympathetic about every tiny sniffle or small downturn in fortune. I'm envious, too, of friends who have parents who babysit the kids for the weekend so they can go away, or take the whole family to Spain for Christmas, or fund the grandkids' college tuition. They have a feeling of security I've never felt. And I'm annoyed when people complain about parents' relatively benign sins: forgetting exactly how many books their grownup kids have written, for instance, or buying the grandchildren too many gifts for a birthday. Jeez! Don't they realize how lucky they are to have involved parents to begin with? Of course, I know parental involvement can easily tip into meddling. And that as parents age, children become the caretakers and parents tend to be the dependent ones. The up side of having dead parents is never having to deal with dementia and Depenz, nursing home expenses or ugly estate battles. At this late stage, I have my problems, too. I may be the equivalent of the 50-year-old bachelor who decides he wants a wife and kids but has become too self-involved to accommodate their demands and messiness in his life. I'm really not up for listening to long descriptions of anybody's health problems or for footing anybody's prescription bills. I don't want to be told how to discipline my kids or directed on how to spend my money. And I worry that, no matter how wonderful the people who might want to adopt me, they'd never really feel like family. After my parents died I tried to cozy up to my in-laws, but even with them could never manage to choke out calling them Mom and Dad. And since they had eight children of their own, I always felt like I was one too many. If you're still interested in adopting me given those disclosures, by all means reply to this ad. All serious inquiries will be considered. Given that this is an unusual arrangement, we could even consider including a prenup: If I fail to fulfill certain obligations, I don't inherit. And if you're less than the ideal wise and beneficent elderly parents, if you end up drooling into your soup or wandering naked into traffic, I'm out. 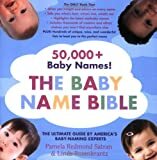 Pamela Redmond Satran's most recent books are the novel The Home for Wayward Supermodels and the baby-naming guide, The Baby Name Bible.